Are you someone who loves cars? Perhaps you’re a shade tree mechanic or someone who simply likes to know what’s going on with your vehicle systems? If so, then 2019 might be your best year yet. A new year full of new tech, new toys, and new tools is in the horizon, and you’ve come to the right spot for everything you need to know about this year’s best gadget for car guys and DIYers, – OBDLink MX+. 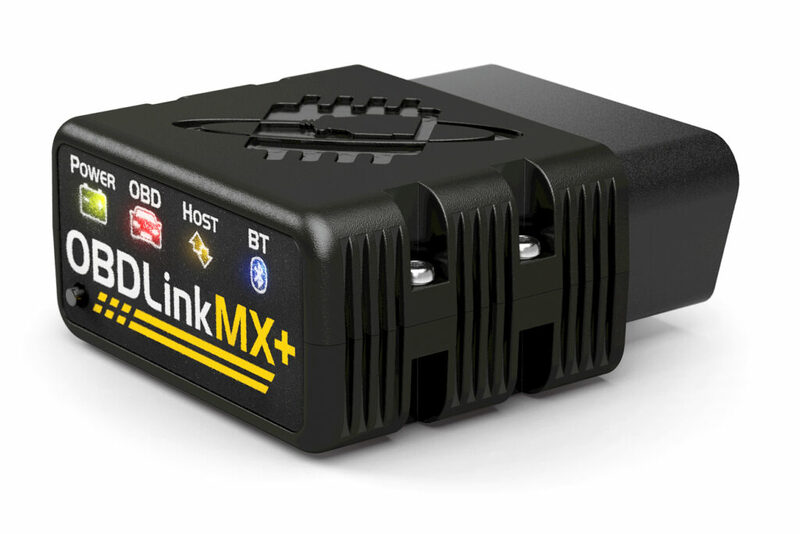 So, What Is OBDLink MX+? For those of you who are unfamiliar with OBD systems, OBD (on-board diagnostics) is an automotive term that refers to a vehicle’s self-diagnostic and reporting capability, meaning it gives the vehicle owner or repair technician access to the status of your various subsystems. Utilizing an OBD system allows you to gain insight into the vehicle’s past, current complications/problems, and additional information. Spoiler alert, the OBDLink MX+ gets straight to the point, more specifically – straight to the problem, if you have one. This device expands your vehicle knowledge and awareness, eases diagnosis, and helps you drive smarter – all the while saving you time, energy, and money. 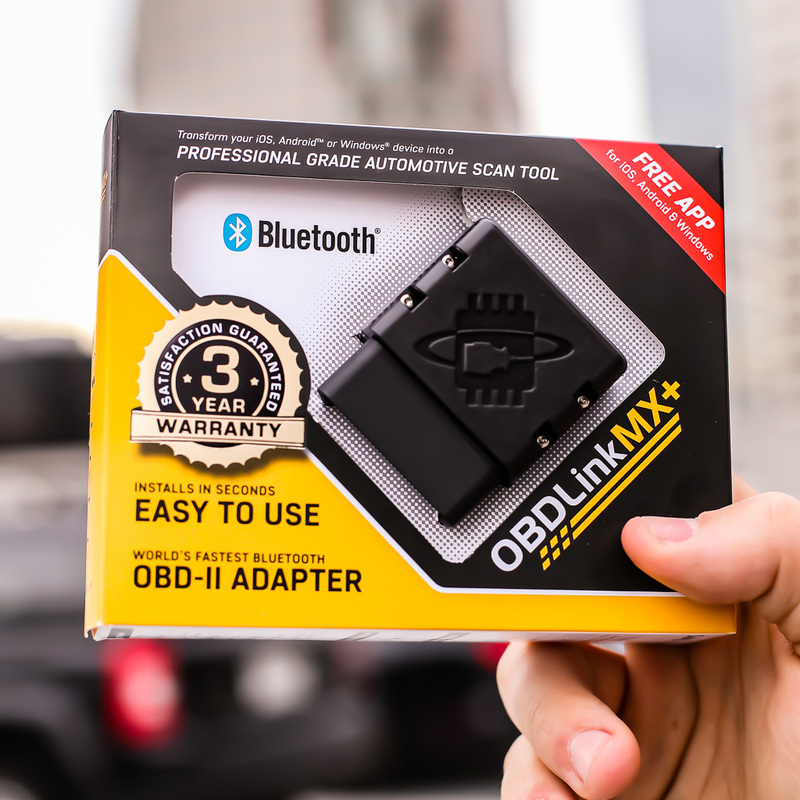 The OBDLink MX+ is a one-of-a-kind wireless OBD adapter that transforms any iPhone, iPad, or Android device into a professional-grade diagnostic scan tool, trip computer, and real-time performance monitor capable of accessing manufacturer-specific vehicle data. It is the only wireless iOS-compatible scan tool on the market that supports the proprietary GM-LAN and Ford MS-CAN vehicle networks, giving you immediate access to dozens of additional ECUs and thousands of manufacturer-specific trouble codes and parameters, including ABS, SRS, TPMS, A/C, transmission temperature, and wheel speeds. Does It Work on Any Vehicle? MX+ works with any OBD2-compliant vehicle but also provides free and unlimited OEM data for Ford, GM, Mazda, Nissan, Infiniti, Toyota, Lexus and Scion vehicles. Although the included software can’t (currently) access OEM data for Honda – it does, however, read all OBD data, provide trip-logging, etc., and can be used with 3rd party apps. We know that your relationship with your car is a complicated but important one. Whether it’s routine maintenance, repair, improvement or even purchasing, the OBDLink MX+ is can be one of the most efficient and innovative resources you can use to make better decisions. Whether automotive is part of your work, leisure or obsession (like us), the OBDLink MX+ is the perfect assistant in the palm of your hands. Easily plug the device in and immediately gain access to various subsystems for faster, more efficient diagnostics and repairs. Track MPG, log trips, measure 0-60 times and ¼ mile performance. Use with third-party apps like Harry’s Lap Timer to record your track times, vehicle performance and driving skills. Looking to purchase a used vehicle at an auction? Shopping for a car on Craigslist for your son to take to school? Make better decisions by running diagnostic tests and find out when the trouble codes were last reset to find problems, or potential complications, BEFORE you buy a lemon. What Makes the OBDLink MX+ Different from Other OBD Scanners? OBDLink MX+ boasts unmatched performance in any Bluetooth OBD adapter, measuring up to 300% faster than the competition. It’s hacker-proof, includes BatterySaver ™ Technology, provides over-voltage protection to prevent damage, has dozens of compatible software choices in addition to the free, highly-rated app that comes with it, is covered by an industry-leading 3-year warranty and provides a 90-day money-back guarantee. It is truly a one-of-a-kind scan tool.